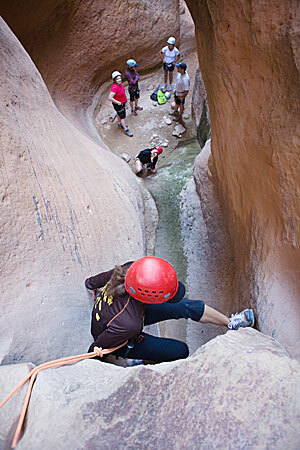 Most of the serious and fatal canyoneering accidents in the United States have happened in conjunction with roped descent systems, also known as rappelling. 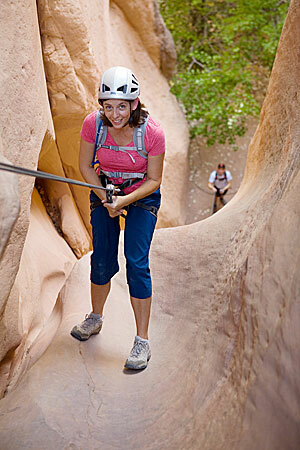 There are essentially two systems for rappelling. 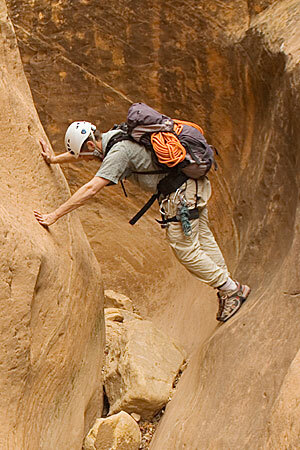 Improper mixing of these systems has been a key factor in many rappelling accidents. While the systems are fundamentally different they can overlap in many situations, and especially in groups with a mix of climbers and canyoneers. Mixing the two systems can be advantageous but must be done safely. 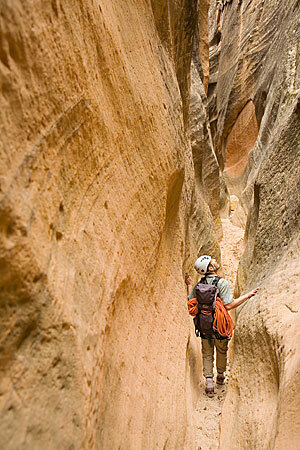 Arguably the most common rappel system in the world as a result of widespread rock climbing knowledge. This system involves two lengths of rope going through the anchor and down to the ground, both tails of the ropes need to be on the ground. The rappel device is then attached/clipped in to the both lengths of rope. This system is higher friction because there are two rope going through the device. Once on the ground the rope is retrieved by pulling the rope up and through the anchor, if two ropes were tied together only one of the ropes lengths will allow to be pulled back through the anchor. Popular with Canyoneers. This system involves attaching 1 length of rope to the anchor with a BLOCK in a way that it can be retrieved. It is important to see this system as having 2 sides – the rappel side/the pull side. The rappel device is clipped into the rappel side and the pull side is used to retrieve the rope only. The rapid/rappel ring is part of the system and careful attention should be devoted to making sure the BLOCK has zero chance of passing through rapid as there are many different sizes of rapid. This system has lower friction because only 1 rope is going through the device. Zion is a vertical place. 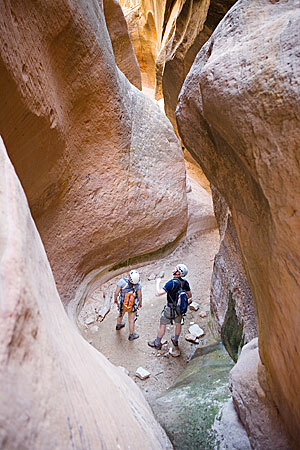 The canyoneering routes in the Zion area involve more vertical drop than any other area in the Southwest and perhaps the most vertical of any sandstone area in the world. What does this mean? Lots of Rappelling. Most rappelling accidents are documented and analysed and almost all were preventable and the result of a serious mistake.